Elgin Street is such a vibrant place, and we want to know what you “dig” about Elgin. 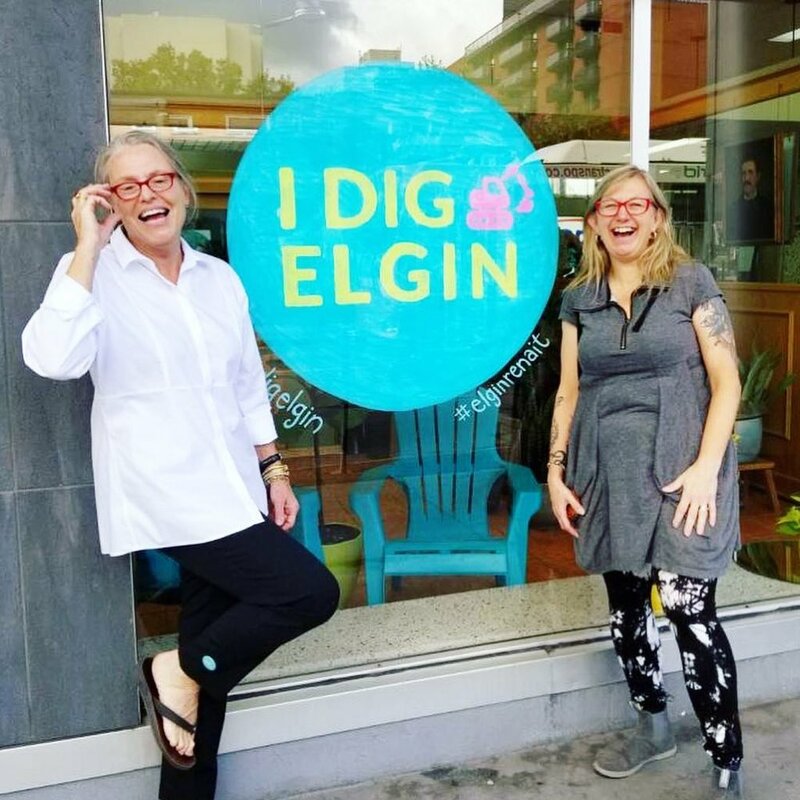 Did you get a chance to snap a pic in front of the I Dig Elgin Logo, located in front of Scrims Florist at 262 Elgin Street / corner of Somerset St.
For this project we were so excited to team up with the talented local hand-letterer, Andrea Emery. We hope to work with more local artists throughout renewal, in more ways, so keep an eye out as you explore Elgin St.
Tag @idigelgin & use #idigelgin / #elginrenait to be featured in our feed whenever your out and about experiencing Elgin Street’s pubs, bars, shops and public spaces. And be sure to tell us what you ‘dig” about Elgin! When I meet people who are new to Ottawa, who are starting their own thing, have a side hustle, or came for a job, but maybe have a DIY passion they dream someday may be a job, I always tell them the same thing; Ottawa residents are super supportive of small businesses. The maker community is booming and bonding over a shared love of knowing where your belongings came from. Independent businesses are shining in the face of big-box stores and restaurant chains. And residents are realizing that supporting local businesses keeps the diversity of their options open. It means we don’t all have to dress the same, drink the same coffee and attend the same classes. 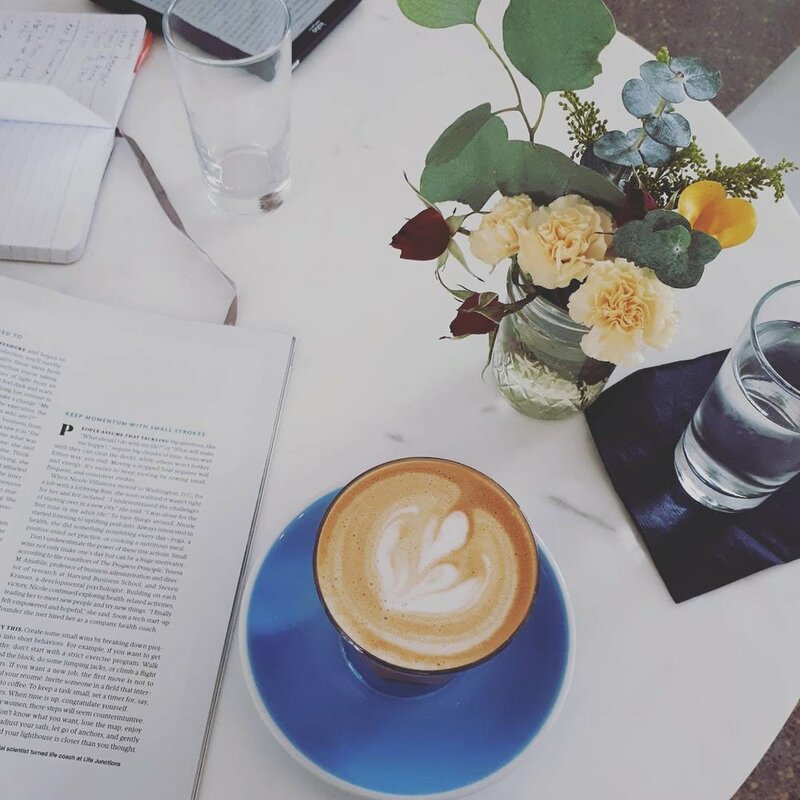 Small businesses support our ability to be the amazing individuals that we are, and with so many options we could never get bored! Ottawa has changed so much over the years, and as it continues to grow, I personally get more and more excited to live here and welcome people into it’s open arms every day. Speaking of Ottawa newbies, Mike and Marianne of Ottawa Neighbours stood out to me right away. They moved to Ottawa a mere 12 months ago and began right a way meeting business owners and managers in the city. Their profiles and pictures are an incredible eye into the lives of Ottawa residents brave enough to try something new. Be sure to follow them, as they introduce us to some of the incredible people on Elgin Street who are behind the scenes. You won’t want to miss it! Do you have errands to run, a lunch date, or a manicure scheduled? If you park in City Hall’s underground parking lot you may find some extra time to stroll along the street and discover that Elgin Street is actually brimming with a diversity of independent shops and restaurants. Now is your chance to explore! City Hall Parking: Located at 110 Laurier Ave. West. Free Parking Weekdays: 6pm - 6 am. Plus all day weekends & stat holidays. 2) There is an entrance on the South side of Laurier Ave W.
When you enter the parking garage, you’ll be prompted to take a ticket to open the gate. The when you leave, simply put that paper ticket into either the “Pay Machine” or right into the gate. It will open automatically. No proof of purchases for Elgin Street businesses is required for free parking. This service is open to residents and local area visitors as well. From the underground parking garage, you will be able to access Elgin Street by taking the stairs or the elevator to the 1st floor/ Lobby level. The first floor of City Hall also has local area maps, tourist information, bus route information and public washrooms. It all started over coffee. Like many great ideas and adventures, I Dig Elgin started with a small group of 3 business owners, plus the occasional drop-in, trying to find ways to work together. We found we were all really focused on supporting each other, strengthening our community and sharing what we loved about our eclectic and diverse neighbourhood. The weekly coffee meet-ups turned into our first event the “Upper Elgin Shop Hop” where we enlisted 10 retail shops to host coordinating holiday parties in December of 2017. The party was a hit, and we decided to do it every year, adding more businesses to the mix and more events the next year. Then we started talking about the Elgin Street Renewal Project, and what we could do to work with more businesses when the road would be closed in 2019. We thought if we could keep the foot-traffic up, and the businesses feeling positive, the street’s independent and small businesses would be able to survive and hopefully continue to thrive during the long and no doubt difficult road ahead. I Dig Elgin, is a concept and slogan we hope will drive Ottawa and the surrounding community to continue to support the businesses on and around Elgin Street, despite having to get their feet dirty. I Dig Elgin will be hosting events over the next couple of years, and highlighting the people, places and things to do on Elgin St. For us, this means that on the other side of renewal, our community can be even stronger and Elgin Street will be a place we hope everyone will want to experience.